Chocolate Nutrition consists of a team of dynamic Clinical Dietitians who are committed to understanding each patient’s unique medical condition in order to prescribe the necessary treatment. In order to get an in depth and comprehensive understanding of a patient’s medical condition, we work in consultation with a variety of medical practitioners who compile information from a wide range of health checks. In our consultations we consider all previous blood analysis and health checks. We also offer DNA health and diet testing alongside a wide range of other tests from food allergies to cholesterol and diabetes tests. We take into account your unique body composition and metabolic rate, any medication you may have already been prescribed, as well as the results which come back from your relevant blood tests. Once we have painted a clear picture of your medical needs, we can then offer you your own unique treatment and diet. Once we have painted a clear picture of your medical needs, we can then offer you your own unique treatment and dietary counsel to extend your life and ensure your ongoing health. We believe in treating the cause of the problem, and not the symptom. This is why our comprehensive approach is a unique form of treatment for patients which also seeks to eradicate any other minor medical issues which may be hampering your health. In order to provide the most advanced medical services to our clients, the Dietitians at Chocolate Nutrition stay abreast of medical trends by ensuring that we attend all Continuing Professional Development (CPD) programs, to make sure that our staff is always providing you with state-of-the-art treatment. We are registered with the Health Professions Council of South Africa (HPCSA), and as private practicing dieticians with the Board of Healthcare Funders (BHF) Southern Africa offering expertise dietary treatment and services. We regularly attend functional medicine courses and are registered DNAlysis accredited Dietitians. Talia has been practicing as a Clinical Dietician since 1999. After graduation she worked herself up to a Senior Specialist dietitian and worked in the clinical setting in the UK for four years. During this time she specialised in gastro-enterology and worked in the ICU as nutritional support Dietitian prescribing intravenous and tube feeds. As the clinical field of dietetics interested her so much she wanted to introduce the spectrum of Clinical dietetics to South Africa. 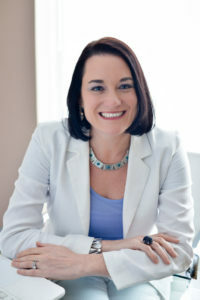 In 2003 she founded the Vergelegen Specialist Nutrition Centre in Somerset West. It was one of the first dietician practices, which offered specialised dietary services, such as eating plans for Cancer, Surgical patients and Kidney Disease. Much of her experience in specialist nutrition was gleaned during her time in the United Kingdom, where she worked for the Derbyshire Royal Hospital and the Chesterfield Royal Hospital among others. Her dedication to further education and training in her field stems from her own fight with diabetes since childhood. She understands the trials and tribulations of dietary restrictions better than most, so strives for inventive new ways to adapt her nutrition and fitness programmes to a variety of lifestyles.